Associate Professor Matthew Zagor has 20 years’ experience as a human rights advocate, practitioner and scholar. 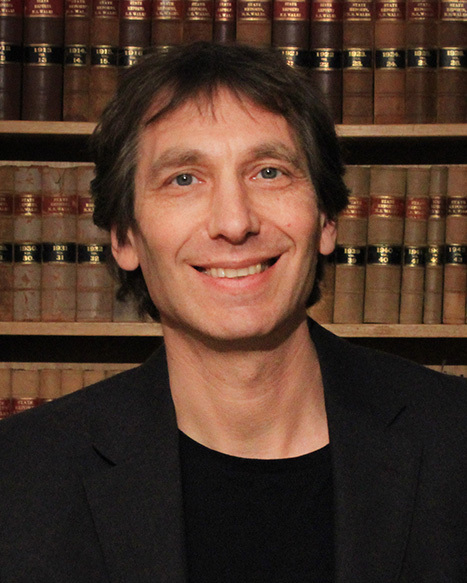 His research is characterised by its transdisciplinary approach and diversity, with recent publications covering comparative constitutional law, the legal 'recognition' of refugee narrative identities, the ‘humanity’ turn of international law, and perspectives of legality amongst Israeli soldiers. His current research applies theories of political theology to the legal construction of the border, and the Australian judiciary's approach to human rights treaty obligations. Matthew’s most recent research considers how liberal notions of autonomy, authenticity and redemption inform legal and political constructions of the refugee. His current project uses these concepts to explore state sovereignty and border control. Before joining academia, Matthew worked in community law, the Commonwealth Attorney-General’s Department, and as a Member on the Migration / Refugee Review Tribunal. He remains actively involved in law reform and public policy, making regular submissions to Parliamentary inquiries, commenting publicly on refugee policy, and sitting on the Advisory Committee of the ALRC’s Freedoms Inquiry. Matthew is an Adjunct Fellow at the ANU Centre for European Studies, and Editor of the Australian Yearbook of International Law. He has held Visiting Fellowships at the LSE Centre for Human Rights and Society and the University of Grenoble’s Centre for International Security and European Cooperation, and in 2013 participated in the prestigious Michigan Colloquium on Challenges in International Refugee Law. Matthew speaks regularly on refugee-related matters in Australia and overseas. 2007-2015 International Humanitarian Law Committee (ACT Branch), Australian Red Cross; Member, Cluster Munitions Coalition (Australia). 2010-2011 Deputy Director, ANU Centre for European Studies; 2006 Visiting Professor, University of Alabama School of Law; 2006 Visiting Fellow, Centre for Study of Human Rights, LSE; 2012 Visiting Fellow, University of Grenoble; 2003-2006 P/T Member, Migration Review Tribunal / Refugee Review Tribunal. Forner ACT Editorial Committee, Alternative Law Journal; ANUCES Briefing Paper Series. Dozens of legal scholars from ANU College of Law call on Australian Government to condemn US travel ban. Aurora internships provide an invaluable opportunity for students interested in working for Indigenous organisations after graduation. Want to find out more about who ANU Law Reform and Social Justice are, or what we do? Are you interested in joining a project? Do you have ideas you are burning to share with like-minded students? Come along to our Info Session in Week 3! Associate Professor Matthew Zagor has 20 years’ experience as a human rights advocate, practitioner and scholar. His research is characterised by its transdisciplinary approach and diversity, with recent publications covering comparative constitutional law, refugee narrative identities, the ‘humanity’ turn of international law, and perspectives of legality amongst Israeli soldiers. Matthew is an Adjunct Fellow at the ANU Centre for European Studies, and Editor of the Australian Yearbook of International Law. He has held Visiting Fellowships at the LSE Centre for Human Rights and Society and the University of Grenoble’s Centre for International Security and European Cooperation, and in 2013 participated in the prestigious Michigan Colloquium on Challenges in International Refugee Law. Topic: Australia's Immigration Detention Health Care Reforms: An analysis of DIAC's health care policies post Palmer-Comrie Reports - Does it place a duty of care on the Commonwealth Government?